The following piece is being republished here with permission of the author, Leslie Savan. 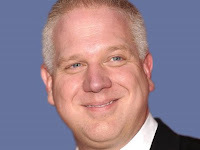 It was originally published under the title "Glenn Beck's own end times foretold" at The Nation Magazine on April 8th. A three-time Pulitzer Prize finalist for her Village Voice column about advertising, Savan is the author of Slam Dunks and No Brainers: Pop Language in Your Life, the Media, and, Like...Whatever and The Sponsored Life: Ads, TV, and American Culture. She has been widely published, including in The New York Times Magazine, The New Yorker, New York, Mother Jones, and Huffington Post. This piece reinforces the original view expressed here that Beck threatened the conservative/Fox agenda of defeating President Obama in 2012. Glenn Beck's paranoid populism begins to look suspect when the angry populace is rising up against the GOP's corporate, union-busting agenda. The end is near ... for Beck's show on Fox! Wisconsin’s battles over collective bargaining show that anti-government populism is beginning to give way to the more classic, anticorporate populism, threatening not Obama but the right with chaos. Beck, of course, is a hyper–free marketer; he’s not against corporate power, just the government’s. But the mere idea of rousing the rabble becomes suspect when the rabble isn’t made up of white supremacists and Americans for Prosperity astro-turfers but instead teachers, firemen and nurses. All of a sudden, government-imposed order starts to look pretty necessary, at least from a certain point of view.